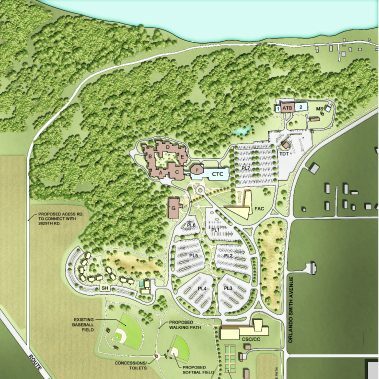 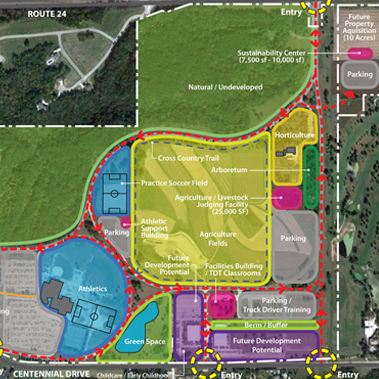 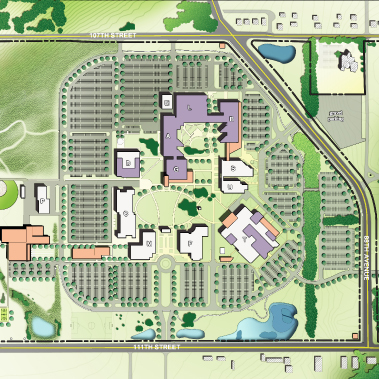 In an effort to holistically address the long-term planning issues at Black Hawk College’s Main Campus and East Campus, the College engaged our team to assist in the development of a District-Wide Facilities Master Plan. 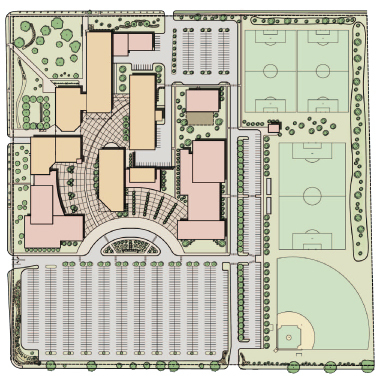 Because each of the College’s campus locations is unique in terms of the types of programs offered, student population, and overall physical context, one of the primary challenges of the planning process was to develop two distinct Campus Master Plans that respond to the individual needs of each campus, while at the same time, creating a consistent framework for growth that addresses the overall needs of the District. 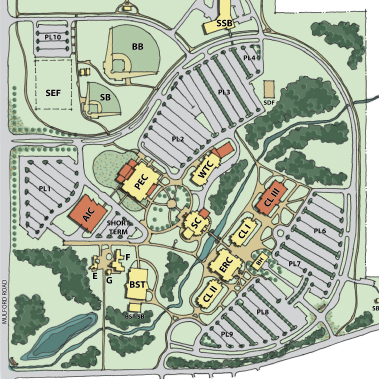 One of the most unique features of the Main Campus is a deep ravine that bisects the property and limits the ability to traverse from one side to the other, creating challenges for pedestrian circulation, while one of the most unique features of the East Campus is its equestrian and agricultural programs that require vast amounts of property and non-traditional campus facilities.